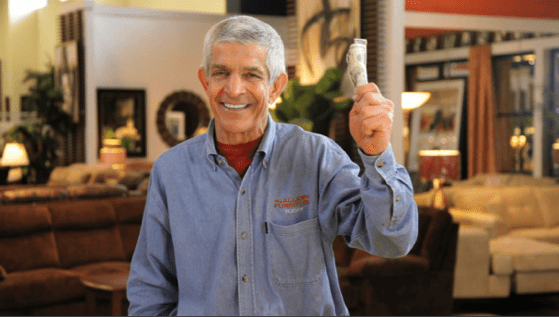 Jim “Mattress Mack” McIngvale of Gallery Furniture in Houston will join us at the Empowering Texas Communities Conference as our Keynote Speaker at lunch on Monday, March 5th 2018. Mr. McIngvale has owned a Houston institution for over 30 years. After decades of his ongoing community generosity, he was recently in the spotlight for his selfless acts during Hurricane Harvey when he opened his furniture stores to his fellow Houstonians in need. He sheltered hundreds of people in his stores throughout the hurricane and even sent out his delivery trucks to rescue others who were trapped. We believe Mattress Mack embodies the spirit of our topic to empower Texas communities, and we are honored to welcome him to our conference. Anyone who has ever worked for or with Mack knows that he builds his business and performs his acts of charity not for recognition, but to benefit the community at large. Mack has a huge heart and is focused on helping Houston become the greatest city in America. Mack is one of Houston’s most recognized citizens and has touched the lives of countless Houstonians in a positive way. In fact, just recently, Mack was named “Best Houstonian” by radio station 93Q. This is just the latest in a very long list of honors he and Gallery Furniture have received. The two-day Empowering Texas Communities conference is scheduled for Sunday, March 4 through Tuesday, March 6 at the Moody Gardens Hotel in Galveston. This Conference concentrates on statewide housing and energy issues and is intended for a large audience of industry leaders. Affordable housing continues to be a concern throughout the state of Texas as demand continually exceeds the supply. Older, inefficient housing stock and reduced buying power put more and more Texans at risk of not only paying more than they can afford for housing, but also for energy to power their homes. With the uncertainty surrounding these challenges, the time has come to elevate the discussions to develop the framework needed to move forward to a bright and prosperous future for the citizens throughout all of Texas. We are anticipating an overwhelming response for the event with participation from community development corporations, energy companies, for profit and nonprofit real estate developers, financial institutions, community development financial institutions, government officials, social service agencies, green building specialists, and many others.